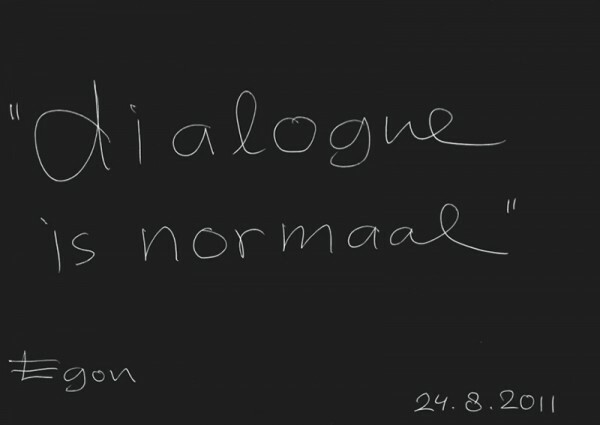 Conversations are Tapes, not Objects, Marina Abramovic & AA Bronson feat. General Idea & Nico Dockx & Olafur Eliasson feat. Institut für Raumexperimente & Egon Hanfstingl & Sands Murray-Wassink & Hans Ulrich Obrist & Rory Pilgrim & Matthew Stone & Rirkrit Tiravanija & Machteld van Buren & Ton van der Laaken & Lawrence Weiner & Louwrien Wijers & …, Kitchen, Amsterdam.